The Lagos State Police Command and Federal SARS Operatives have arrested two men for conspiracy, human trafficking and running of a prostitution ring using teenage girls in Collabor Hotel at Ige Street, Iyana Ipaja Lagos. The suspects and coordinators of the prostitution ring – Thomas Emmanuel aged 29 and Okoh John aged 34 – were on March 10 this year arrested alongside the four teenage girls when the Operatives stormed the location. The girls, who are all from Calabar Cross River state, range from ages 15 to 19. One of the girls, 15 years old Gloria (Surname withheld) confessed that her 25 years old elder sister, Blessing brought her to sell drinks. “My elder sister brought me here to sell drinks. She handed me over to Monica Ita, who is 25 years old. Then she left for Calabar”. After Gloria was arrested by the Operatives, the Commissioner of Police, Imohimi Edgal, added that it led to the arrest of other underage girls being prostituted at the Hotel. Meanwhile, one of the girls, Destiny (surname withheld) whose age is given as 19, claimed she is 28 years old. Adding, she said she came to Lagos to hustle. “I’m not underage. 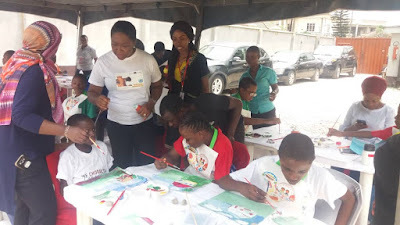 I have been doing it for four months and I get clients”, she boldly told newsmen in Lagos. The CP, however, assured newsmen that the case would be charged to court on completion of investigation.